Click, click, click, click. The rachet slowly fell into place with each crank of the lever below. My hair flew around me as if I was in the middle of a hurricane, but being hoisted to the top of the mast was well worth the effort. “How many can you see?”, my husband shouted from the deck below. Quickly glancing around, I counted 15 islands between me and the horizon in nearly all directions. We weren’t in Arizona anymore. Over Easter weekend, we explored the San Blas archipelago of islands in the Carribean sea of Panama. The San Blas islands are relatively unknown to most, but they deserve to be much more famous. A group of picturesque islands inhabited only by the native Kuna tribe, the islands make for a magical experience. 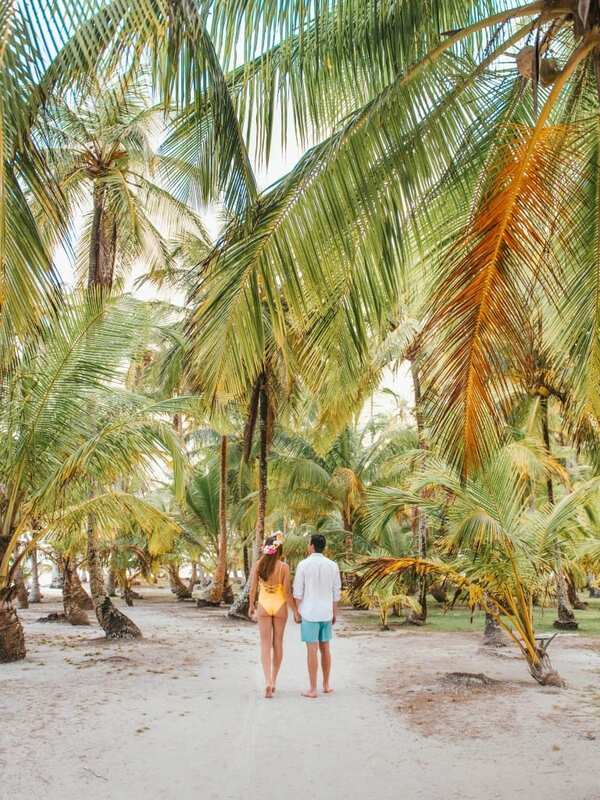 In San Blas, you can visit a different island every day of the year. With over 365 islands, the San Blas archipelago has something for everyone. Unfortunately, we only were able to really explore three of the islands: Banedup, Cambombia, and Pelicano. Each island offers a unique experience and view. As proof, a few years back, Microsoft Windows used a picture of a San Blas island as the default wallpaper (the one with an island with only three palm trees on it). The water in the archipelago is surprisingly deep between the islands, but the reefs surrounding each island make for excellent snorkeling. The deep water between the islands makes it easy for multiple types of ships to explore the island chain. 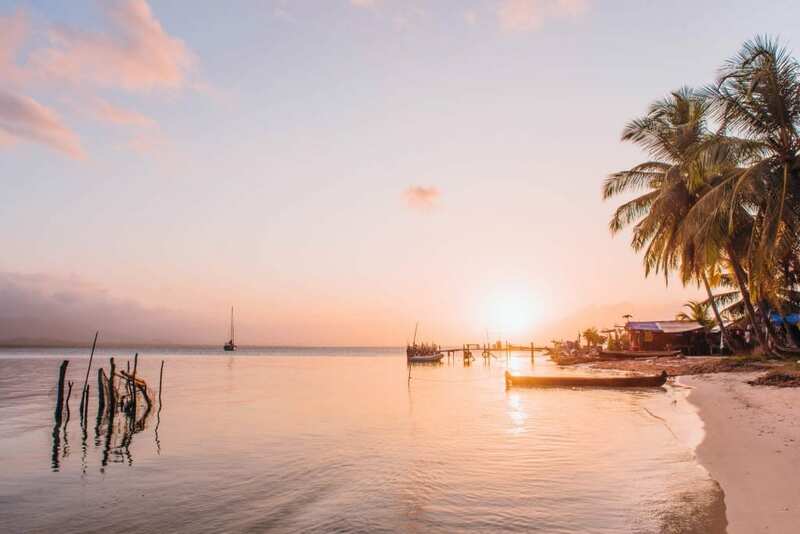 San Blas is a popular sailing location for Central and South America. Most of the islands are covered with palm trees. These trees help keep the islands “anchored” to the surrounding reef while also providing freshwater to the inhabitants. Obviously, this makes for some fun pictures! Most of the islands are close to each other. There were multiple times we docked between a few islands and swam to each one. You feel like a pirate exploring new and virgin lands as you jump off your ship with a palm tree as your target. This is also a great time to snorkel. We explored a few different reefs around and we fortunate enough to see starfish, barracuda, tons of different schools of fish, and a stingray. Word or warning, there are sharks in the islands, but most of them are small with the most dangerous being the Tiger shark (which usually does not bother humans). The real danger is the caiman crocodile. These crocodiles are found at some of the uninhabited islands near the Panama coast. They usually will avoid people and loud noises, but they did attack a woman last year. To avoid both sharks and crocodiles, don’t swim at night and stay in a group. Luckily, we didn’t see any sharks or crocodiles during our trip. If we had, I’m not sure I would have gotten back in the water!! 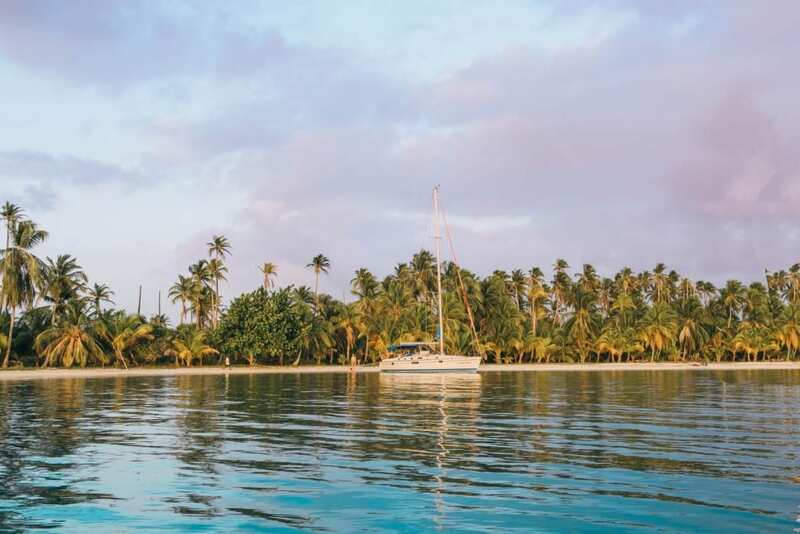 One of the reasons the San Blas islands are not as well known as Frech Polynesia or The Bahamas is because they are 100% operated by the local tribe, the Kuna. They are a small but proud community of around 300,000. Around 50,000 Kunas live on the 49 major islands of San Blas. The Kuna mainly survive by fishing and harvesting fruits, especially coconuts. The Kuna’s allow tourists on their islands for a small docking fee. Tourists are only allowed on a couple of islands of San Blas and on these islands the Kuna provide food and lodging for them all year around. On one of the major islands, Chichime, the Kuna run a hostel for tourist. This hostel provides open shelters with hammocks for a fee of around 10 US dollars, food is included in this price but drinks are not. The Kunas themselves mostly live in small straw and wood huts on the islands, so expect camping tents or hammocks for your accommodations (see photo below). The Kuna are a remarkable people. They are a matriarchal society, meaning all property is owned by the females. The Kuna has a participatory democracy. Every evening, everyone on an island gets together to discuss the day’s happenings or any issues that have come up. Every few months the residents of four or five islands get together to discuss larger issues that have come up. Twice a year there are “regional” meetings. Regional issues are discussed, actions are voted on. Once a year there is a “nationwide” gathering where larger issues are discussed and courses of action voted on. They are kind and more than happy to help out. We purchased some fresh coconut, lobsters, and shrimp from them during our trip. Most Kuna canoe into the waters to spearfish different fish and sea life. If they aren’t spearfishing, they are cutting down the fresh coconuts or napping along their beautiful island. 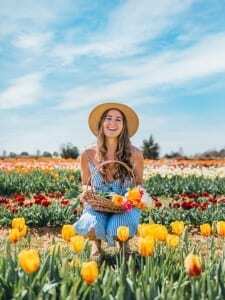 It is an amazing way of life that makes you rethink what you need to be happy in life. 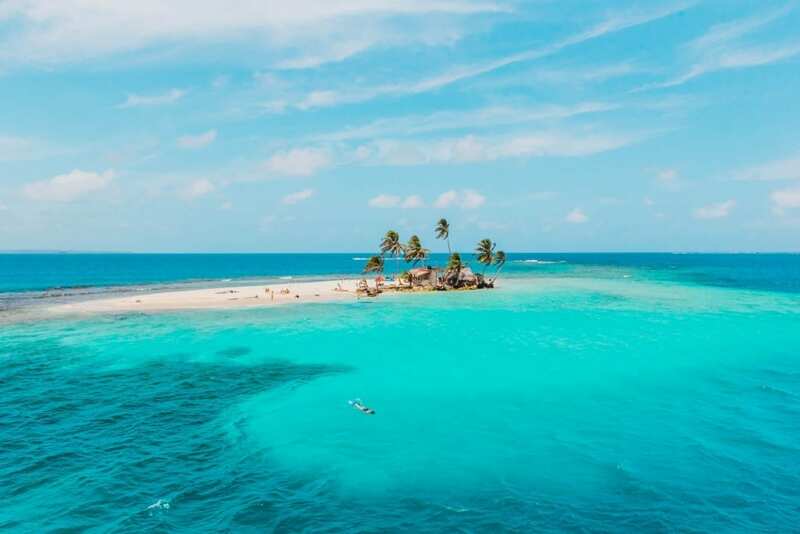 The San Blas islands are in the Caribbean Sea between Panama and Columbia. 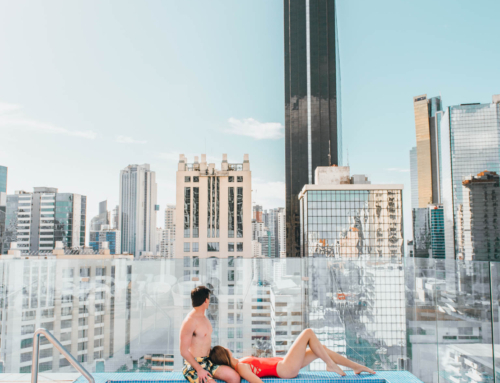 We were headed to Panama City, so it was easily worth the two-hour drive to the Caribbean coast and the two-hour sail into the islands. We ended up leaving from the Linton Bay Marina near Colon, Panama on a catamaran we chartered through Sailing Life Experiences. 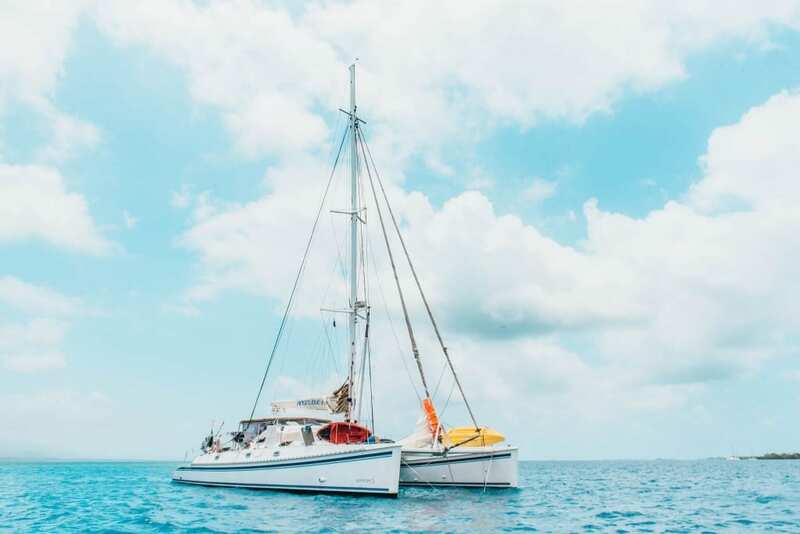 Essentially, it’s an Airbnb for boats so definitely check it out! If you depart from Columbia, it a bit longer trip but I imagine the reward is just as appealing. 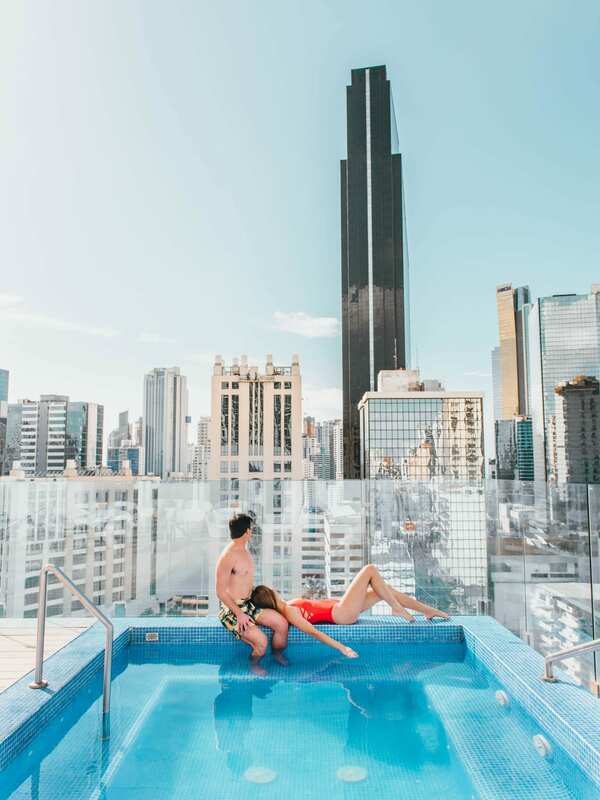 There are a few ways to enjoy San Blas. The most popular is by boat. 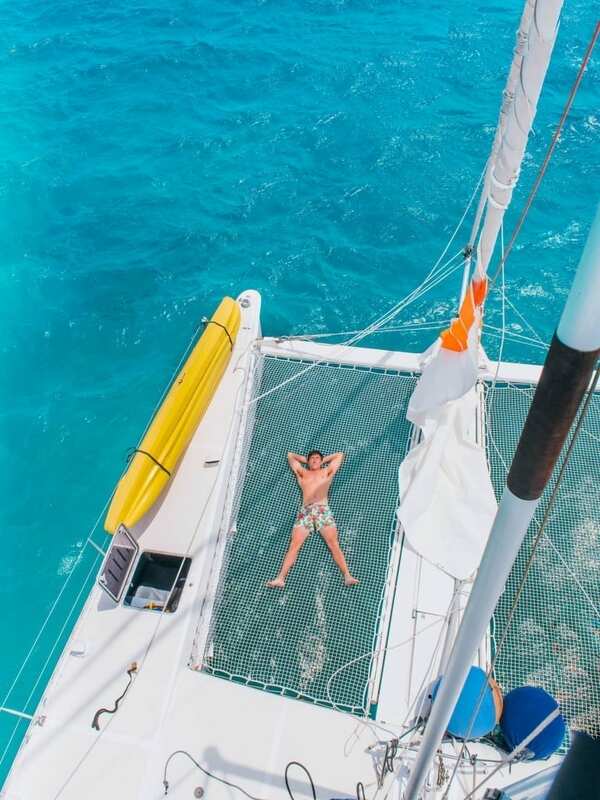 You can charter a sailboat, like we did, for a few days. This allows you to explore a few different islands while sleeping and staying on the ship. You can also get a boat shuttle out to an island where you can pay to camp. This allows you to sleep on the island and enjoy the island life to the T.
There is an actual airstrip on the largest island, but there are very few flights. You’ll also have to find a way to get from that island to the others (which is where the boat comes in handy). There are no resorts or hotels on the islands. Either you sleep under the stars on the island or under the stars on a ship. Whichever way you go, life will slow down and you’ll enjoy the beauty surrounding you. 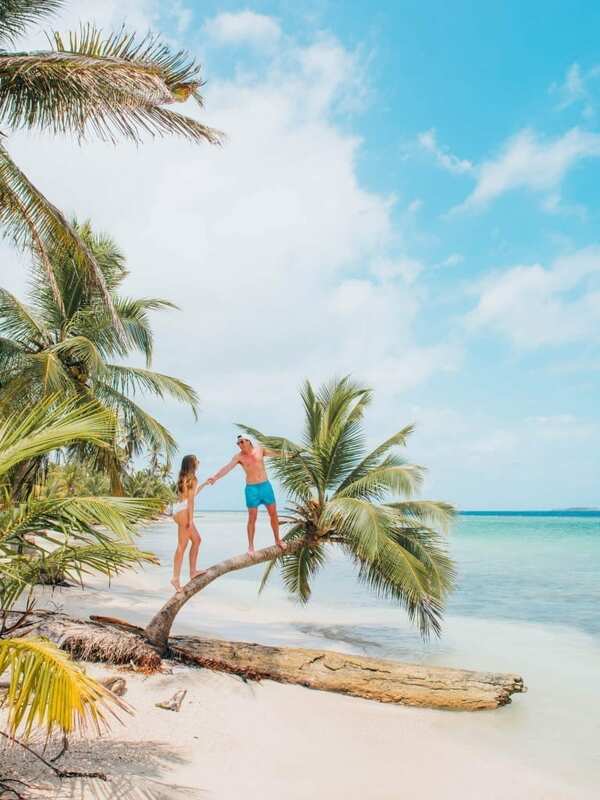 If you are ever in Panama, it is worth the extra few days to explore San Blas. You’ll discover a new way of life and see some of the most beautiful islands in the world. Want to learn what it’s like to sail in the San Blas Islands??? 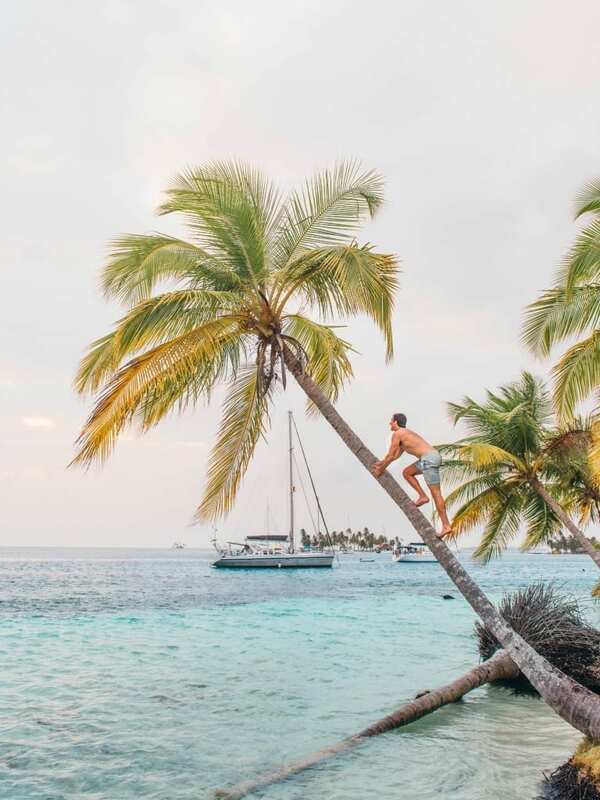 Check out my post “Visiting Panama’s San Blas Islands with Sailing Life Experience” and watch the video below for some inspiration! Hey Angie! Which boat did you choose from this website? Looks amazing! Hi Tiana! 🙂 We went with Giambattista on his Outremer 55 Catamaran. However, they are currently not in San Blas anymore. But I’m sure the other boats available are just as amazing!